As you come up for air after a refreshing dip on a hot day, you grab onto the swim ladder and pull yourself up. You give your skin a quick rinse on the shower deck to wash down the salt and step into your spacious outdoor living room, to enjoy a cold drink under the bimini. Sounds good? This could be you very soon. 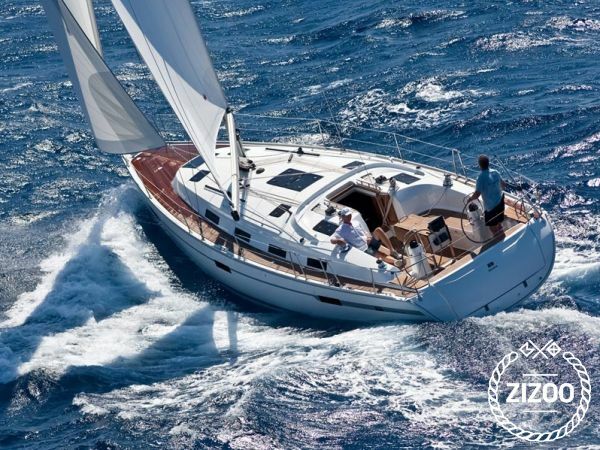 Nia-Nya is a stunning 2013 Bavaria 40 that will give you and your crew a holiday of a lifetime. She is based in Sukosan, the location couldn't be more perfect for frolicking on the islands and splashing around at beautiful beaches. Your skipper will help you find the best places to buy local prosciutto, goat cheese and wine. Dip some bread in homemade olive oil for a perfect ending to a perfect day. Wake up to a breakfast of fresh figs then repeat the day, just at a different place. Now that you can't stop thinking about this, go put a bug in your friends' ears, wait a couple of days, then start packing!